Note: Contributions are currently only available for Meetups in the United States. Organizers and leadership teams don’t have to shoulder the costs of Meetups by themselves. Contributions are optional, one-time payments members can choose to make as a way to support the Meetups they love. Allowing contributions for your Meetup is completely optional. Whether or not you provide the option, free Meetups will remain free to members, and Meetup groups collecting member dues will still collect dues. Contributions are automatically enabled for all new Meetup groups, but organizers can disable or re-enable them at any time. Ready to start collecting contributions for your Meetup group? This Help Center article has all the information you’ll need. To collect contributions, organizers will need to set up a WePay account. Please note that all contributions are subject to a small transaction fee; WePay collects 2.8% + $0.30 as a service fee to process the payment, and Meetup collects 4.7% + $0.20. Note: Member dues are not currently available for Meetup groups located outside of the United States. WePay is currently available in the U.S. only; Meetup groups in other locations have the option of using PayPal. Some organizers charge membership dues: the funds may be used to cover costs associated with the Meetup group — such as supplies for a project, rental on a space, or refreshments for the Meetup. Each payment is subject to a transaction fee. WePay collects 3% + $0.30 of this service fee to process the payment and Meetup collects 4.5% + $0.20. What happens after I set up Member dues? If you’re turning on Member dues for the first time, all of your members will be placed on a trial period. The trial period gives new members a chance to experience your group before paying their Member Dues. Trial periods cannot be changed for existing members. For example, if you change your trial period from 14 days to 30 days, that change will only affect new members joining your Meetup group. Members are sent a reminder 7 days and again 1 day before their trial expires. The Member dues feature will keep track of who paid their dues and who hasn't. Based on your settings, the feature will automatically take the appropriate action for unpaid members when their trial period ends. What happens to unpaid members? Members who haven’t paid their dues are removed from your Meetup group at the end of their trial period. They will not receive any further notifications about their removal. If your Meetup requires organizer approval, unpaid members will appear in your Pending tab. Those members will no longer receive communication from your group. When a member who was removed revisits your group, they will be prompted to pay their dues before rejoining. Note: As of the week of September 18th, 2017, organizers will have 1 Member dues option which is the ‘Pay to be a member’ option. The ‘Pay to attend’ option will be fully removed at this time. What happens if I switched from ‘Pay to attend’ dues to ‘Pay to be a member’ dues? Any of your ‘Unpaid’ members (members who have not paid during their trial period) will be removed from your Meetup group automatically. They will not receive any notification of their removal from your Meetup group because they previously received two reminder emails alerting them to the potential removal (See the trial periods section above). Additionally, the trial periods for your members will not be altered when you make this change. For example, if one of your members has 5 days left on their trial period and you switch to the ‘Pay to be a member’ dues option, that member will still only have 5 days remaining before they are removed from your Meetup group. Can I change how much I charge my members? Yes, organizers can update the cost of dues for their members on the Member dues setup page. Please note that the price change will only affect new members who join after the change is made. Existing members will continue to pay the original amount. However, if you turn off Member dues and re-enable them at a later date, all members will need to opt-in to the new dues amount. Members will receive an email reminder a week before they are set to renew, in order to re-subscribe to the new amount. The primary organizer of a Meetup group pays for their own organizer subscription. Every Meetup group must be led by a local organizer with an active subscription plan; groups without an active organizer will close after 14 days without a named organizer. If you have an active organizer subscription but are not the primary organizer of a Meetup group, your subscription is not supporting any Meetup groups. You could use your subscription to start and organize your own Meetup, or if you want, you could simply cancel your subscription. If you’re interested in becoming an organizer, check out the current pricing options in your area. Many organizers can also collect contributions, member dues and/or event fees from group members to help cover their costs. Who pays for a Meetup group? 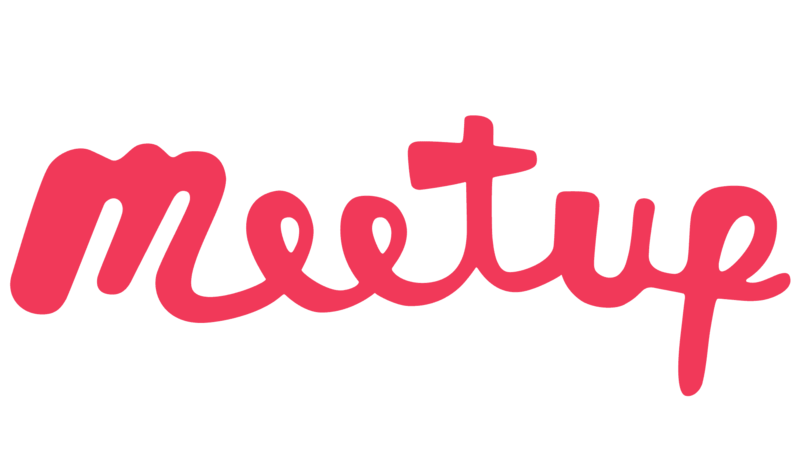 Note: WePay is only used for Meetup members located in the United States. If you’re located outside of the U.S., please refer to our article on setting up a PayPal account. The WePay payment system is fully integrated with the Meetup platform, so you can easily collect member dues, event fees, and contributions. When you start collecting payments from members for the first time, a WePay account is automatically created for you. You will need to verify your WePay account within 30 days of enabling payments in order to continue accepting payments. Once you verify your WePay account, all member payments are automatically accepted. If you don’t verify the account within 30 days, any payments made during that time will be refunded to the member 15 days after their payment date. If you’re the organizer of more than one Meetup group, you’ll need to complete these steps for each group that you organize. WePay receives 2.8% + $0.30 of each payment as a service fee to process the payment. Meetup collects 4.7% + $0.20 USD to provide you with integrated, convenient features that aren't available from off-site payment processors. WePay follows industry standard data security protocols to protect your information. WePay is a certified Level 1 PCI Compliant Service Provider, which requires an annual independent security audit of their processes and systems. Read more about the security of WePay here. How do I set up a WePay account?